• All concessional discounts are only applicable to contracts entered into on or after 1st of July 2017. • At least one purchaser must use the home as principal place or residence (their home) for a continuous period of 12 months, starting within 12 months of being entitled to possession of the purchased property (which normally occurs at settlement). • Concession available only for purchases of a home. The transfer must also qualify for the Principal Place of Residency Concession or the First Home Owner Concession which impose a 12 month residence requirement and certain thresholds. • The concession is no longer available for off -the plan purchases of holiday homes and investment or commercial properties - These transactions incur full stamp duty. 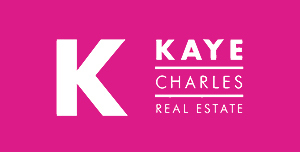 The information in this website and the links provided are for general information only and should not be taken as constituting professional advice from the website owner - Kaye Charles Real Estate. KCRE is not a financial adviser. You should consider seeking independent legal, financial, taxation or other advice to check how the website information relates to your unique circumstances. KCRE is not liable for any loss caused, whether due to negligence or otherwise arising from the use of, or reliance on, the information provided directly or indirectly, by use of this website.